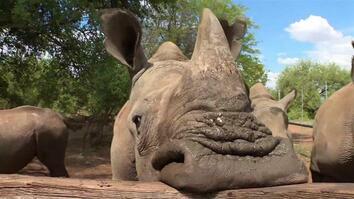 In South Africa, big game hunters pay big bucks to shoot rhinos. But the rhinos aren't killed. It's all to help keep them alive.